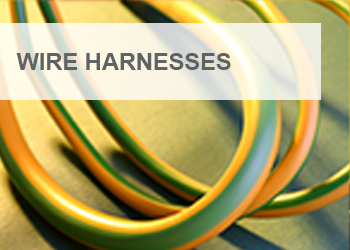 Established in 1986, Apex Cordset Technologies (Pty) Ltd. has become the leading developer and manufacturer of a wide range of quality cord sets, extension cords, molded plug and socket systems, wire harnesses and cable accessory products for the global electrical and electronics markets. Today recognized as the largest power cord manufacturer in Africa, we manufacture a range of moulded plugs, sockets and related products for a variety of commercial and industrial applications, at our 14 000m² facilities – consisting of five plants – situated in the heart of Gauteng’s industrial hub. 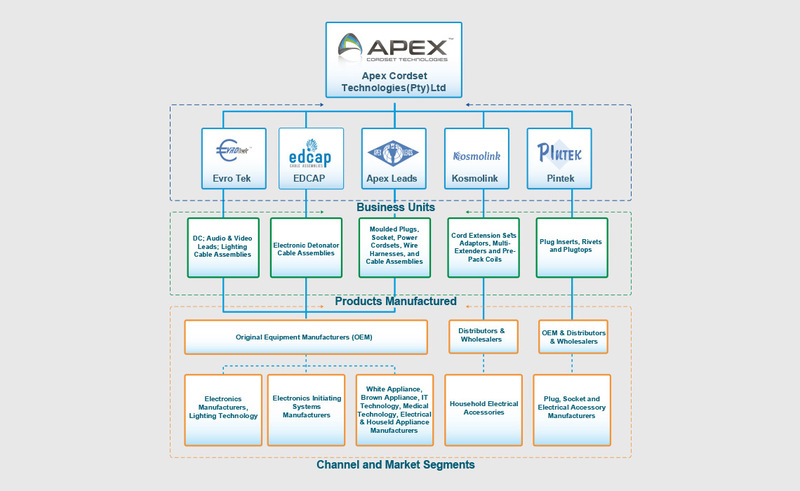 Backed by over 500 highly skilled personnel, APEX has the expertise and capacity to provide customers with value-for-money, tailor-made products and exceptional lead times. For example, we are able to manufacture in excess of 120 000 plugs per day! An ISO9001:2015 and OHSAS18001:2007 accredited company, APEX utilizes state-of-the-art modular and fully automated machinery to ensure precision and consistent quality. Daily production meetings and strict in-house quality control – from materials selection to shipment – guarantee that we meet our customers’ urgent requirements and deliver quality products. Creative engineering, outstanding technology and uncompromising quality standards have ensured our standing as a world-class manufacturer in our field. Moreover, we are continuously investing in new technology, skills training, equipment and machinery to maintain and improve the company’s competitiveness. In addition to supplying superior products to the local market Apex Cordset Technologies (Pty) Ltd. has entered the export market, and is at present supplying companies in United States of America, Chile, Korea, Australia, Wales, Ireland, Poland and Portugal with a range of outstanding products. In a hospital bed a car accident victim lies deeply sedated, a ventilator lifting his chest every second or two to pull air into his damaged lungs. If he was awake, the pain would cause him to go into shock and that would probably kill him. The machine breathes for him until he has healed enough to take over again. 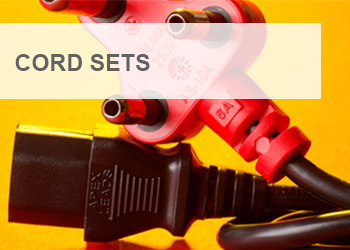 Apex Cordset Technologies (Pty) Ltd is a manufacturer, supplier and exporter of a wide range of quality products to suit every demand for moulded plugs, power cords and cord sets, supplying the electrical and electronics appliance markets. Established in 1986, it is a tightly run business with the personal, corporate and community pride that is rare in a growing company with global reach and state of the art technology. The combination of personal pride and high standards with advanced technology, adherence to major quality standards and huge yet flexible manufacturing capacity has made APEX the leading manufacturer on the African continent and a growing force internationally. Our modular and fully automated high-tech machinery provides precision and consistent quality. 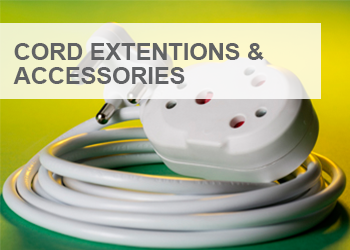 As a specialized manufacturer we offer our clients a wide range of products for the full range of power cord and cable accessory needs. Strict in-house quality control, from materials selection to shipment, assures our clients that they only receive the best products. Strategically located in Gauteng, our premises include 14 000m² of factory floor fitted with state of the art technology, staffed by over 500 fully trained and competent personnel, delivering efficient, flexible service to the most demanding quality and performance standards. Creative and innovative engineering, combined with leading technology and unrelenting quality standards have made APEX a world-class manufacturer of power supply and cord sets. APEX recognizes that quality conscious behaviour is essential for increasing the value of our business, as well as for maintaining and enhancing the quality of our products. Our enforcement of relevant national and international legislative requirements. Providing clarity to all personnel about their responsibilities for quality. Demonstrating senior management’s commitment with regard to product quality. Providing a quality framework for the whole organisation to work within. All levels of management of APEX is committed to the implementation and maintenance of a suitable Quality Management System that complies with the requirements of the ISO18001 international standard while ensuring strict compliance to the contractual, legislated and regulatory requirements of interested and affected parties. APEX’s quality policy provides a framework for establishing and reviewing quality objectives. APEX will consistently provide products and services that meet or exceed the requirements and expectations of our customers. We will actively pursue ever improving quality through programs that enable each employee to do their job right the first time and every time. We completely recognize the impact and opportunities that the adherence to quality principles affords us in supplying quality products and service to our customers, while maintaining / improving our business plan objectives and the economic results of the company. Delivering on this approach is essential to our overall company business strategy and the continued integration between internal departments is a critical factor supported by our operating styles. Cultures are transformed into one for the benefit of our customers. Providing consultation and workshops on performance excellence and techniques. Conduct First Principles of Lean Manufacturing Training. Establishing customer and corporate specific process measures and goals. Conducting Operational Reviews with timely and cost effective resolutions. Documenting and analyzing Operational Review data for continuous process improvement value added activities. Be the catalyst for communicating downstream operational problems to the process owners for driving upstream process improvements. Assist in streamlining our most critical customer affecting processes. Own internal/external customer feedback measurements that drive our decision- making policies. Increasing our understanding of competitive information and benchmark “best business” practices to determine gaps in existing processes and procedures. Continue to support ISO 9001:2008 compliance as required (e.g., where / if required). Meaningful measures that support unit and corporate goals. Systemic identification and removal of root causes to problems identified. Value added decision-making based on data and facts. Prevention of problems especially in design processes. APEX Cordset Technologies (Pty) Ltd.’s ability to assist in delivering excellent service depends on our commitment to develop defect-free customer service. This is determined by working with the appropriate departments and work groups to establish monitoring metrics like availability, reliability, error free new builds, rapid provisioning (defect free order flow through) and timely resolution of customer problems. Customer Satisfaction is comprised of all the methodologies required to meet or exceed customer expectations and set the directions, which ensure intimacy and customer satisfaction. Senior Management will, on an ongoing basis, establish and set measures of quality required to address customer issues and create the benchmarks needed to ensure customer preference. Employee Value – as APEX Cordset Technologies (Pty) Ltd.’s continue to be a major player in this competitive market, it will be essential for all our employees to continually improve and excel in their work functions. It is management’s responsibility to enlighten, enable, empower and encourage the behaviour that drives Operational Performance Excellence and Customer Satisfaction. Employees must understand their roles and responsibilities and be aligned with APEX Cordset Technologies (Pty) Ltd.’s business strategies and embrace the characteristics that enable APEX Cordset Technologies (Pty) Ltd.’s to be a major player in the industry. Consistent execution in a rapidly evolving industry will be key to our success. APEX Cordset Technologies (Pty) Ltd.demonstrates cost savings by conducting value-added Operational Reviews to achieve avoidable costs (e.g., rework, defectives, non-value-added activities, non-standardization, etc.) that are eliminated through prevention and root cause analysis. Quality Management is systemically integrated throughout the Customer Satisfaction, Employee Value and Financial Objectives. Sound quality objectives are maintained as an integral part of APEX Cordset Technologies (Pty) Ltd.’s day to day operations and as the foundation that supports the other key dimensions. Apex Cordset Technologies (Pty) Ltd.’s Environmental Policy is part of the Integrated Occupational Health and Safety Management System and as such is developed, documented, implemented and maintained to manage environmental aspects of our facilities and manufacturing processes. APEX’s Senior Management defined and established an environmental procedural policy within the defined scope of the Environmental Management System, appropriate to the nature, scale and environmental impacts of our activities, products and services. Management is committed to continual improvement and the prevention of pollution – thus, satisfying any interested party with excellence in environmental performance that comply consistently with applicable legal legislation and regulations. The Environmental Policy provides the framework for setting and reviewing environmental objectives and targets. The Environmental Policy and Objectives are communicated to all relevant persons. The policy is explained and discussed at the general orientation training given to all new employees and has been reviewed with all current employees. All employees are expected to know what the environmental policy means to them as it affects their job or position within the company. The Occupational Health, Safety and Environmental Policy, encompassing the Environmental Policy, is posted in prominent locations throughout the premises. Issues involving the infrastructure that conveys site storm water / sewage / wastewater. It encompasses receiving drains, manholes, storm overflows, etc. Incidents involving flood water, wastewater, solid waste and hazardous chemicals. Routine maintenance of system components is done on a regular basis, including equipment maintenance, line replacement, repair or new installation. Water treatment, wastewater and solid waste operations and related maintenance contracts. Water treatment plant and wastewater systems’ compliance with local municipal/regulatory standards and requirements. Noise, odour, dust and vibration pollution nuisance. Electrical energy required for the operation of plant, equipment and lighting (i.e. greenhouse gas emissions associated with the manufacturing processes). Planned & development of new products or services. Modifications to existing processes or plant. Other local environment and community issues. At Apex Cordset Technologies (Pty) Ltd.our mission in not to pursue excellence but to practice it, in every area of our business. 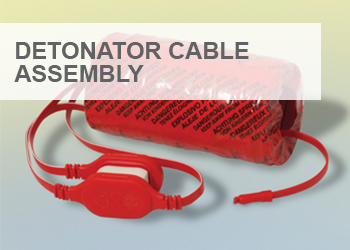 From producing plug and connector systems that surpass quality and safety standards to delivering service consistently above the norm, with turnaround times that frequently astonish. Although we are already the leading national supplier of power cordsets, moulded plugs, connectors and wire harnessing, through our mission we will continue to expand our business, introduce new and compatible products and grow in reputation beyond Africa’s borders. Isn’t that what you, as a customer, stakeholder or simply as a member of our society, expect from a market leader? 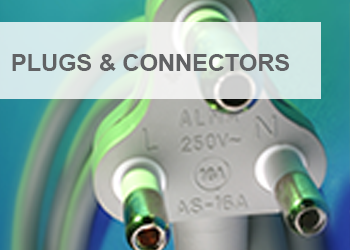 Because keeping people efficiently – and safely – connected in every walk of life is the very reason for the existence of APEX, it is our Vision to become the preferred supplier of the entire range of plug and connector systems, globally. An ISO9001:2015 and OHSAS18001:2007 accredited company, with several international product safety marks; we are already the leading supplier to South Africa and have the ability to meet any country’s standards. To realize this vision we will continue to adopt leading electrical cord set technology, provide a diversified product range of the highest quality, and deliver the fastest-possible turnaround times. By reaching for these standards we are paying tribute to our customers, our stakeholders and society – the people who will ultimately help us keep this vision a constant. Maintaining the necessary competent and capable resources to comply with regulatory and customer’s requirements. The continual assessment and provision of our personnel’s training needs in order to benefit all stakeholders. The reduction of our operational costs, through the effective implementation of the Quality Management System. Actions, not words, speak about a company’s values. Beyond our commitment to produce cordset products of exceptional safety and quality, at Apex Cordset Technologies (Pty) Ltd.we have a genuine belief that our customer’s needs deserve top priority. Our ability to deliver service starts at the top, with a unique management style and culture that filters through to the most junior member of our 500+ strong staff. Skills development, training and healthy competitiveness are all part of our philosophy, which acknowledges that each employee is of paramount importance. We appreciate effort and award results. Equally important is our relationship with suppliers in the cordset industry while our concern for our society and the environment can be measured by our extensive social responsibility involvement. Ethical Values according to which we wish to operate. We appreciate the safety regulations as determined by the Standards of the products to which we manufacture. Through this we ensure to manufacture our products to be compliant to the relevant standard and market in which it is intended for. We have high standards and our goal is to sell the highest quality products we possibly can. We define Quality by evaluating: Product Conformance; Safety; Reliability; Appearance and Product Delivery. Satisfying and Appreciating our Customers. Customers are the most important stakeholders and the lifeblood of our business. Only by satisfying our customers first do we have the opportunity to satisfy the needs of our other stakeholders. We go to extraordinary lengths to satisfy and delight our customers. We want to exceed their expectations every time they place an order with us. We realize that by doing so we turn our customers into advocates for our business. Advocates do more than order from us, but talk about how good their experience is when doing business with Apex Cordset Technologies (Pty) Ltd. We want to serve our customers competently, efficiently, knowledgeably and with flair. An approach to work that is informed, knowledge-based and is demonstrated by thoroughness, competence, flexibility, dependability and efficiency. We can generate appreciation and loyalty from all our stakeholders by educating them about safety and performance related issues on Apex Products, and the effects they have on consumers and the environment. We offer value to our customers by providing them with high quality products, extraordinary service and a competitive price. We are constantly challenged to improve the value proposition to our customers. We believe that successful organisations begin with successful employees. We are committed to providing a rewarding and challenging environment that supports individual growth and success. The well being of each employee is also of paramount importance to us, therefore we will be sensitive to the needs of the employees and be fair and equitable in our response to such needs. Our success is dependent upon the collective energy and intelligence of all our team members. We strive to create a work environment where motivated team members can flourish and succeed to their highest potential. We appreciate efforts and award results. The fundamental work unit of the company is a self-directed team. Teams meet regularly to discuss issues, solve problems and appreciate others contributions. We believe knowledge is power and we support our Team Members Rights to access information that impacts their jobs. We recognize everyone’s rights to be listened to and heard regardless of their point of view. The company continually improves through unleashing the collective creativity and intelligence of all our team members. We recognize that everyone has a contribution to make. We keep getting better at what we do. We are stewards for our shareholders investments and we take that responsibility very seriously. We are committed to increasing long term shareholder value. We earn our profits everyday through voluntary exchange with our customers. We recognize that profits are essential to creating capital for growth, prosperity, opportunity, job satisfaction and job security. We believe in the preservation of the environment for future generations and ourselves. As a result, we shall conduct all of our business with the highest global standards for safety and preservation of the environment. This will be supported by promoting healthy lifestyles among our employees and the wider community. We respect our environment and recycle, reuse and reduce our waste wherever and whenever we can. We recognize our responsibility to be active participants in our local communities. We do this through membership of the CPF and ABP. We support such organisations through sponsorship and direct involvement in their scope of objectives. We further support a wide variety of community and non-profit organisations. Creating an On-going Win-Win partnership with our Suppliers. Our trade partners are our allies in serving our stakeholders. We treat them with respect, fairness and integrity at all times and expect the same in return. We are committed to honesty, timeliness and clarity in communicating with our suppliers and we expect the same in return. We seek to create transparency from order Receipt to Product Delivery with respect to production, planning, sourcing, product safety and efficiency in order to bring to the market the safest highest quality products available. We work with our supplier’s partners in eliminating all unnecessary production and distribution costs to help ensure the best possible price. 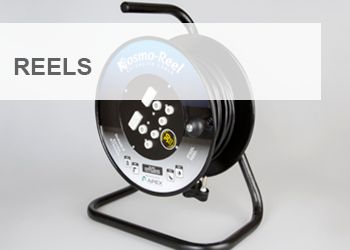 We foster suppler partnerships that enable us to remain at the forefront of the Power Cord set and related Cable Accessory industry, by creating new, unique and innovative products.